After the Group Policy is updated on the network computers, the protection will be paused on them. To resume the protection, set the GPO state back to Enabled. Method 2. Execute remotely the appropriate commands. Method 3. If you need to disable the protection on only one specific computer, log in to it via the Remote Desktop and use the usual tools such as the notification icon to pause and resume the protection. Method 4. 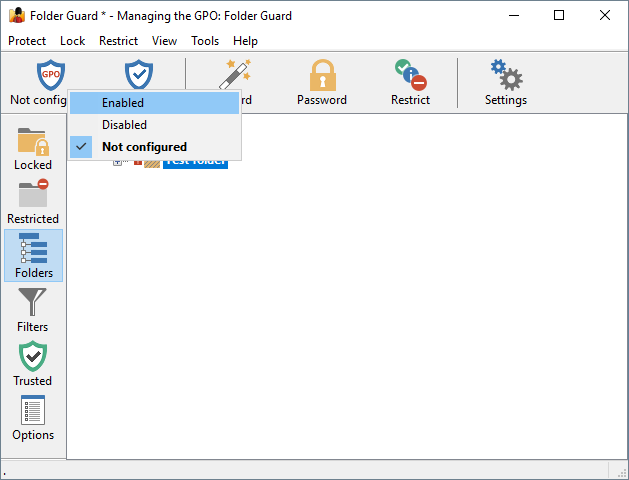 Change the running state of the Folder Guard service on the client computer to control the protection.